Kia Ora! Welcome to Koru Cottage. Fresh and newly renovated 1 bedroom cottage. Comfortably suited for four but could accommodate six, with two double sofa sleeps in the lounge and a Queen sized bed in the bedroom. Koru Cottage is situated in a small community of similar cottages offering you security and relaxation with your own off-street parking. A mere 200m to a quiet beach and beautiful bush walks. 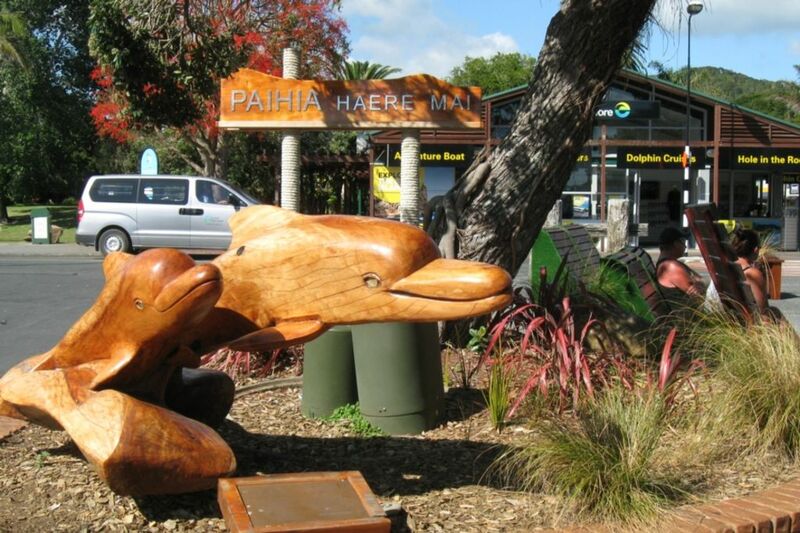 Less than 1 km away are the many activities, cafes and restaurants of central Paihia. Koru Cottage offers you the “Best of Both Worlds”. Stay at home in tranquil Koru Cottage or try all that is on offer in Paihia: Kayaking, Paragliding, Swimming with the Dolphins, Sightseeing, Fishing, and so much more. Smoking allowed outside only, please shut any doors and windows to avoid smoke entering the cottage. Smoke alarm, fire extinguisher, and first aid kit provided for your safety. Free Unlimited WIFI in the cottage. We love the outdoors and the Bay of Islands is a simply stunning location for us to indulge in the activities we enjoy such as kayaking, boating, walking, and fishing. We love the relaxed atmosphere while having the security of being in a small, friendly complex. A place where we can unwind and take a break from our busy lifestyle. A peaceful and beautiful bay is right down the end of the road (very short walk). Quiet, peaceful and newly renovated accommodation. HRV system installed for a healthy home. Heaters are available in the cottage. A washing machine is available in the cottage. A range of relaxational and educational books. A selection of videos to suit a wide age range. A nice self-contained one bedroom unit. Close to walking trails and all the beautiful sights of Bay of Islands. Good kitchen facilities. Everything we needed for our stay. An awesome Bach. Enjoyed our stay and had great weather!! Would certainly recommend it anyone who likes peace and quiet while being close to everything! We loved our stay, tidy, comfy and just what we needed. Lovely accommodation for our small family. Quick walks to the beach and a short drive to Paihia shops. Enjoyed our stay and would recommend staying here. Lovely stay in a cute cottage, impeccably clean and in a great location. Thank you! Too many water activities to mention, also lovely walks around the hills and in low tide you can walk from the bach around the hill to Paihia. We walk everywhere from the bach, into Paihia, and around the hills. For those who prefer not to walk there are a host of activities and amenities a quick drive away.